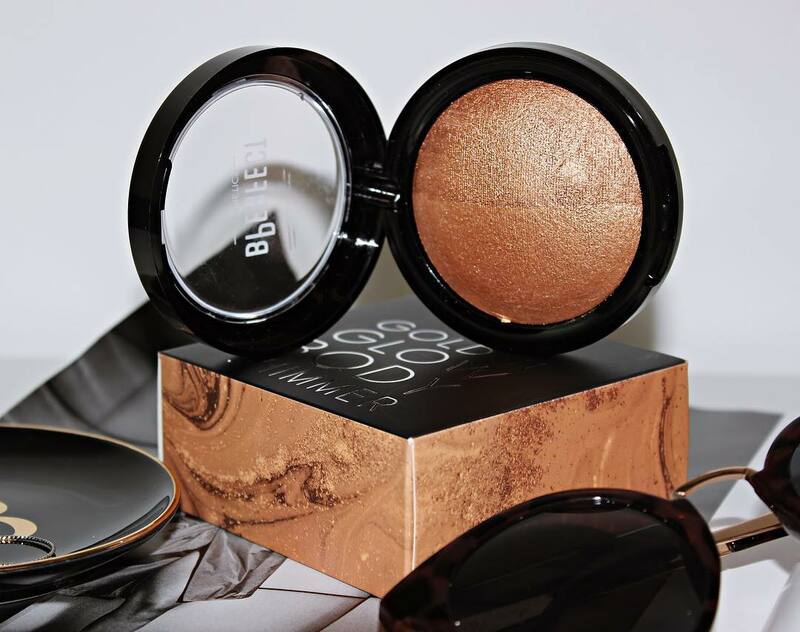 BPerfect Cosmetics are giving us all a chance to have that coveted sunkissed glow with the new ‘Golden Glow Body Shimmer’. The shimmer powder is a dream for sculpting and highlighting the body – especially the collarbone area. The colour is very bronze based, so you are not just adding glow, you are adding a depth that compliments and lifts the tan. A recent event when I wore BPerfect 10 Second Tan Mousse, with Golden Glow on my neck and shoulder areas. I tried out the body shimmer on top of BPerfect’s new 10 Second tanning mousse in the shade Medium Coconut. I usually prefer a mousse formula because it is easy to apply, blend and dries quicker. The colour is also ideal for transforming pale skin. Just make sure you’re well exfoliated to have a smooth base to begin with. The one thing about mousses though, is that they can dry too well and become a little dull. Which is where Golden Glow comes in! After a shower, sweep the shimmer down the centre of your legs, over the shoulders and on the decolletage to brighten everywhere you want to. It’s easy to target your preferred features, and with the natural lasting colour of the mousse beneath, so it’s a win-win. I love BPerfect tan products for their tropical scents and no tan-smell. The colour-last has definitely improved with this new release. You’ll get a few showers out of the mousse before it fades, so it will be ideal for holidays. Note: BPerfect kindly sent a sample of Golden Glow and 10 Second Tan for us to review, but all opinions from the trial are my own. Topping off BPerfect’s 10 Second Tan Mousse with the Golden Glow Body Shimmer is a perfect summer combination. It’s not too glittery and not unnoticeable. Both products are €24.95 each, but the consistencies mean that you only need a small amount and they will last all summer long.